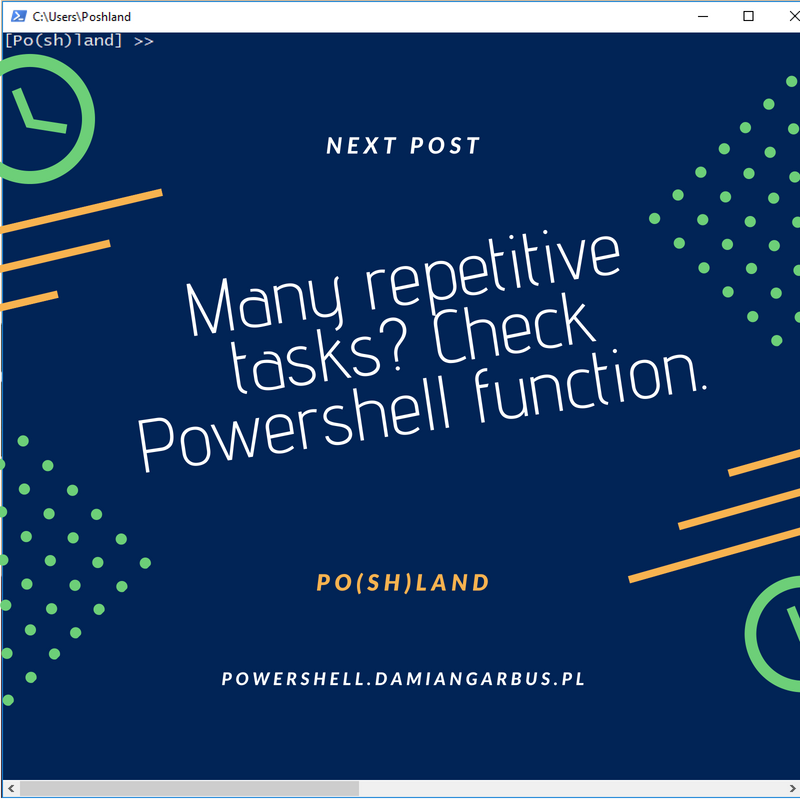 Hi, On my blog Poshland is new post about something amazing for beginners of Powershell. Now you can check how to write your own Powershell command. How do this? It’s possible with Powershell function. This is basic things which in the future help you write scripts and module. Check this out.